Formed just a year ago, this quintet has enjoyed a quick rise up the ranks of the Brooklyn buzz-bin — an almost meteoric ascendance that belies the band’s tender sound. Xylos’ fractured dream-pop gently brings to mind Yeasayer (who guests on a couple tracks) and the Flaming Lips. In fact, on opener “In the Bedroom” founding member Eric Zeiler’s voice evokes the wistful croon of Wayne Coyne while he bittersweetly sings about failed romance over tropical synths and twirling guitars. Meanwhile, the swooning harmonies on “This House We Built” virtually demand a coed campfire sing-along under the stars — that is, if the textured rhythms, boy-girl vocals, and ethereal strings throughout this debut EP didn’t sound so magical in stereo. Xylos will take a break from recording their first full-length album (due by early 2010) to headline New York’s Mercury Lounge on July 28. 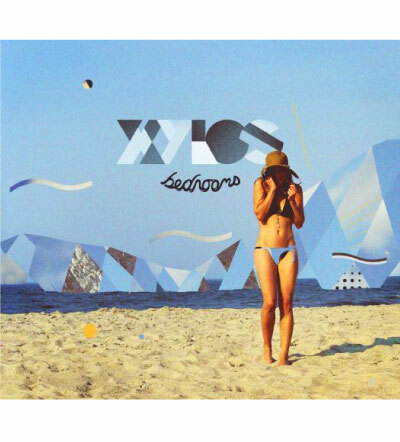 The Bedrooms EP is currently being offered as a free download at Xylosmusic.net .